There’s no doubt that Robin Williams could make us laugh, but he did a whole more than that. He made us think and dream. Because he wasn’t afraid to tackle the tough social issues in our society. In his personal life he was involved in nearly 30 charity organizations and he was always quick to help with things like campaigning for the G.I. Bill, or raising money after Hurricane Katrina. But in my opinion he taught us the most through his incredible acting and story lines. Here are some of the great movie roles that Williams played while teaching us that it’s OK to deal head-on with today’s social problems. To say that these roles show how progressive he was seems to diminish his talents somehow. I would say instead that through his acting, he taught us how to be human. In this movie Williams took on the problems of homelessness and mental health problems. The National Alliance for Mental Illness named this movie one of the top movies of all time to accurately portray mental illness. Robin Williams’ character plays a homeless man suffering from Post Traumatic Stress Disorder. And for this role, Williams received an Oscar nomination. In addition to this great movie, Williams also helped organize Comic Relief, which raised money for the homeless. In Good Will Hunting, Williams tackled the issue of domestic violence. In this movie Robin Williams played the role of a compassionate psychiatrist. He gives an Academy Award winning performance when he counsels Matt Damon’s character who has been severely abused. After learning of the boy’s violent beatings, Williams reveals that he was also abused as a child. Williams took on the issues of gender identity and homosexuality in this amazing film. In The Birdcage, Robin Williams and Nathan Lane play a loving gay couple who eventually teach their son that there is no reason to be ashamed of his gay family. This film was one of several in which Williams tried to normalize cross-dressing. 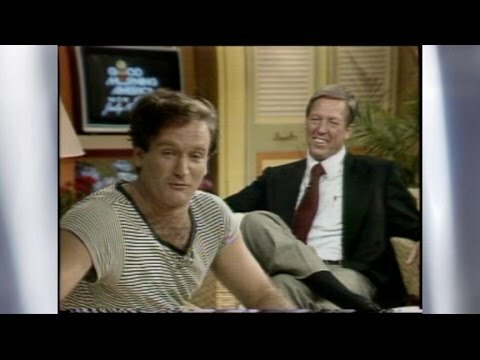 In this 1985 movie, Williams took on the subject of freedom of the press. In Good Morning Vietnam Robin Williams plays the role of Airman Second Class Adrian Cronauer, who is a radio DJ in Vietnam during the Vietnam War. He goes against his commanders and locks himself in the radio booth so that he can report the news and bombings that were actually going on. And not only did Williams teach us about press freedoms at times of war, but his character also was kind and compassionate to the local Vietnamese people. He taught us many great things in his movies, and this one is no exception. Williams assimilated to the local culture instead of demonizing them. He realized that he could actually learn something from them. In Patch Adams, Williams took on the issues of patient autonomy and the importance of Universal healthcare. In this movie, Williams plays the character Patch Adams. He finds out how to treat patients by admitting himself into a mental hospital. And because of his experience there he goes to medical school and becomes a doctor. He makes the point throughout this film that patients should be treated with dignity. Williams is great in this movie and he really shows us how important compassion and humor are for all of us. In this incredible movie, Williams tackles the subject of suicide. I have always loved this film, but now that Robin Williams is gone it seems even more important, and even ironic. In this movie, Williams character’s wife commits suicide after the death of her family and is doomed to spend eternity in her own private hell of despair. Through Williams’ character’s unselfish love and determination to spend it in hell with her because of his love for her, the two are reunited in heaven, along with their children. Rest now Mr. Williams….your work here is done.